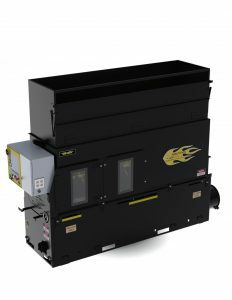 NEWLY UPDATED: CM-3500XL system operates on jobsite power with no costly fuel and generator maintenance. Enhancing better quality, more production capacity and with sustainable recycling methods. If you want to expand your business in bigger scale with affordable wall spray system then CM-300 is the one you should consider. It is the smallest yet powerful machine in current lineup that gives you economical wall spray system incorporating ‘integrated recycle technology’. While larger truck system come with more costing; this small giant with VP-300 vac-pack all together deliver a combined solution for cost cutting on bigger production capacity. Start it once with a single power line and operate all day long without any additional fuel or maintenance. It is a one stop solution for contractors. This is a CM3500 with Vacuum Hood set-up. Utilizing a standard vacuum, this CM3500 has a special designed vacuum hood to receive the recycled material back into the divided hopper. We trained Michigan Premier Builders, in Gaylord, Michigan on the CM3500 vac-pack wall spray unit. Here is a video of our visit. Why contractors should choose the CM-3500? Moisture is always a problem while maintaining insulation wall spray system. CM-300 keeps this to a minimum. In fact, the Coll Machine brand will reduce water needs up to 50%. Most of the machines running on current industry standard follows two backdated methods for recovery and use of recycle fiber. To recycle fiber back to the dusty truck trailer gas powered centrifugal is used which comes with high maintenance cost. It is also time consuming. It also slows down the production rate with pressurized recycle hopper while inherent of fiber flow and air surging problems occurred. Setting up and hauling recycle with buckets back to a manually loaded machine inside of multiple level structures is both time consuming and a dangerous liability risk when handling heavy equipment. CM-3500 provides an efficient and fast solution. Our Vac Pack technology offers a low maintenance positive pressure vacuum system with no slow down in production by discharging neutral pressure hopper inside with no resulting air surges or dust. It increases endurance of the system with air bypass technology with exclusive air separator which keeps the distance of recycle fiber form contact with the blower. The filter system needs services once a day to insure high efficiency in most cases at the end of the day. 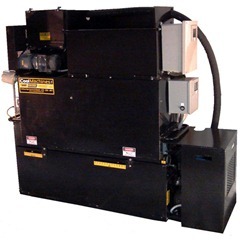 CM-3500 also offers a fast, smooth reliable spraying system to meet-up minimizing setup time and maximizing production. Simplicity is the key of this machine. No slow down on maintenance. Easy to transport. CM-3500 can be transported in a truck or trailer to the job side and set-up within minutes with minimum efforts. Saves fuel costs with added features. Self contained heated water system with water tank and 17.5kw gas generator. Be economical productive yet cost effective. It is a choice that meets most contractors’ needs. 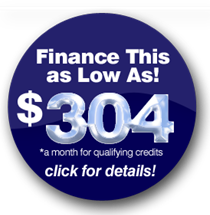 Easy to replace with few hundred dollars and has a service life of approximately 500 to 750 hours. Reduce generator size with high endurance and positive pressure system gives you long lasting offers for contractors. Moreover with recycle stabilized attic spray and open blow application; it gives you extended range of the blowing hose achieving higher production rate. CM-3500 (P.D. blower) Includes machine with soft start P.D. blower with integrated recycle hopper and 150 remote cord. (Optional) Hopper extension for dry hopper (additional 2 bag capacity). Heavy duty pump and motor assembly (w/run dry capabilities) quick-connect fittings for easy removal and service deluxe 80 mesh filter and fluid level gauge. Duplex outlets for pump and on/off control of internal wetting system. Dimensions: 24W x 116L x 40H (w/o hose reels) 78″ H with hose reels. Full water weight: 2800 lbs. 17.5 kW (Guardian) generator with transfer panel for switching to jobsite power, wood panel enclosure w/ service access louvered door, slide-out bracket (enclosure reduces fiber contamination to generator). Jobsite Power: (optional)150 ft. 63 power cable can be easily connected by qualified electrician. Con serve gas and generator maintenance. Run all day for no fuel costs. Includes 150ft. 3 blowing hose with 12ft. light-weight flexible spray hose 2 1/2 aluminum wall spray nozzle 2 jet 150 ft. x 3 vacuum hose connector tubes w/3 aluminum vacuum wand Cool Tool wall scrubber. Barry's positive attitude and willingness to help make the purchasing decision an easy one!